Sunflower oil is one of the popular oils in the world. It is extracted from sunflower seeds, and may also be used to make into margarines. Sunflower oil is clear and amber-colored, and is high in vitamin E and low in saturated fat. 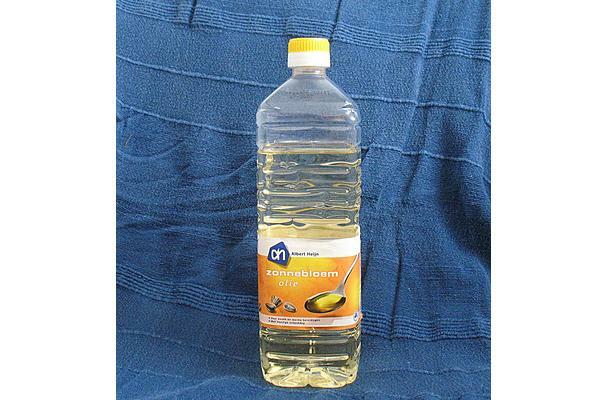 Procuring: Sunflower oil is expressed from sunflower seeds with the use of an oil press. Sunflower oil is of vegetable origin and is obtained from the fatty kernels of sunflowers. Cold-pressed crude oil is light yellow, hot-pressed crude oil has a brown color and refined oil is colorless. The best oil is produced from shelled kernels. It can be used as a frying oil as it behaves like any typical vegetable triglyceride. It can also be used in the field of cosmetics. It has smoothing properties and is considered noncomedogenic. Sunflower oil has a lot of restaurant and food industry uses.The oil can be used in conditions with extremely high cooking temperatures. It may also help food stay fresher and healthier for longer periods of time. Food manufacturers use sunflower oil to lower levels of trans fat in mass produced food products. Best used as a base for salad dressings. In cold conditions, substances crystallize out of wholly untreated sunflower oil, which though physiologically harmless considerably reduce the value of the sunflower oil. These days, crystallizing substances (mainly waxes from the skin) are generally filtered out prior to transport. Sunflower oil should have an acid value of at most 0.9-1.1%. The acid value of an oil is used as a measure of quality. An acid value that's too high denote an excessively high content of free fatty acids which may turn the oil sour. Discoloration may also occur. History: Sunflowers originated in North America and were then introduced into Europe. It was greatly used for ornamental purpose until it was cultivated by the Russians for oil. Russians cultivated sunflowers for its oil in the middle of the 18th century, and production on a commercial basis started only in the 19th century. Two varieties were grown, the oil yielding type and another one for direct consumption. In 1950s, sunflower oil was popularized as an important vegetable oil all around the world. Sunflower oil is very popular in Europe and it is the third most important vegetable oil of the world.